scheduled to leave the baby orphanage and go to a scary place called Torez. 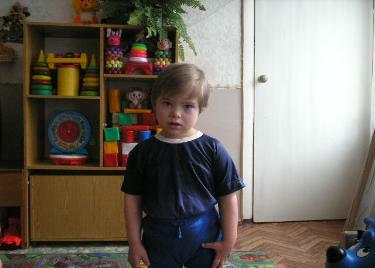 Torez is an institution where orphans with both mental and physical disabilities are sent when they "age-out" of the baby houses. kids—there is no way out. chance to make things better for them. bedridden are up and moving about; (amazingly some even walking). medicine. You can learn more about them online at http://www.life2orphans.org/. connections allow. Please remember us in your prayers. world one child at a time. There is no greater calling. · The orphanage was established in 1966 to care for very special needs children. · They currently are caring for 350 Ukrainian Orphans, ages 4-adult, all with physical or mental deficiencies. orphanage the last repairs had been done in 1991. And this only focused on faulty heating equipment. do EVERYTHING from repairs to painting, to lugging water for sanitation when the water goes off several times a day. each day in the morning and afternoon. · 20 of the staff do help the children (that are able) to do hand crafts. · There are two rooms where children are bed-ridden and they need 24 hour support in every way. visitors. The orphanage director (Alexander) was very excited by the results. even made proposal, that you would able to make video of the bedridden children's success for printing disc and sharing it! So, we have to collaborate all our common efforts for your trip would be successful!